There are a multitude of ways in which historians – alongside them, economists, geographers, cartographers, social scientists – have tried to reckon with the achievement of the British Empire, a subject that remains for many of us one of very great interest, at least if the term is used in a proper way. Thus, the word “achievement” is not meant here as some sort of patriotic reinforcement to Tory Home Counties triumphalism, but simply the plain measure of historical record: the fact that, for well over 200 years, a small cluster of islands lying off the northwest Eurasian landmass exercised political, cultural and economic power out of all proportion to its size. No Indian railway lines criss-crossed northern England; no Nigerian gunboats sailed up the Clyde; no West Indian polity built church schools in Glamorgan for Sunday services. From about the 1650s onwards, in some ways before, all flowed in one direction until, of course, the tides began to turn after 1900. The islanders left behind many intriguing signs of their outsized role, and sometimes it’s still hard to grasp this remarkable story, except perhaps in anecdotal and antiquarian ways. An American colleague of mine at Yale measures it through his schoolboy postage-stamp collections of imperial coronations and jubilees; another (this seems truly idiosyncratic, unless you happen to have been in the West Indies during the days of a Test match) through the spread of cricket. One of my personal favourites is through tracing the multitude of quiet, modest Commonwealth war graves and memorials scattered across 153 countries. There are thousands of sites, often, as at El Alamein, kept in lovely, watered condition even in the midst of dusty urban sprawl. And then the story could be measured and told via the many British overseas ports, cities and towns, as has been done in Tristram Hunt’s attractive new book, Ten Cities that Made an Empire. The author, a Labour MP and a history lecturer at Queen Mary College, London, takes 10 of the most important and colourful cities within the old empire, explaining how they came about, what they became, and the role they played in the larger system. It is a great idea, and Hunt achieves his purpose superbly, with panache and in fine style. Donna Tartt’s three novels can all be described as psychological thrillers, but they are experienced as a sequence of highs and crashes, binges and hangovers. Characters are infatuated, confused, guilty, anxious; they suffer hallucinations and nightmares and nearly lose all control. In Tartt’s bestselling debut, The Secret History (1992), a clan of chic Classics students attending an elite Vermont college murder a local farmer while in the throes of a drug-induced bacchanal; throughout, characters distract themselves with Greek poetry and dinner parties, self-medicating with alcohol and sleeping pills. Tartt’s second novel, The Little Friend (2002), set in 1970s Mississippi, also begins with a brutal death – a child hanged in the back garden – which leaves its large cast of characters either dazed with depression or manic with mistaken theories. John Banville has become the first Irish author to receive the prestigious Prince of Asturias Award for Literature, announced today in Oviedo, Spain. The award, established in 1981, is conferred on those “whose literary work represents an outstanding contribution to universal literature” and includes a Joan Miró sculpture and a cash prize of €50,000. The award will be presented in the autumn in Oviedo at a ceremony presided over by the prince of Asturias. Unusually, the judges’ citation confers the award not just “on the Irish novelist John Banville for his intelligent, insightful and original work as a novelist” but also “on his alter ego, Benjamin Black, author of disturbing, critical crime novels”. 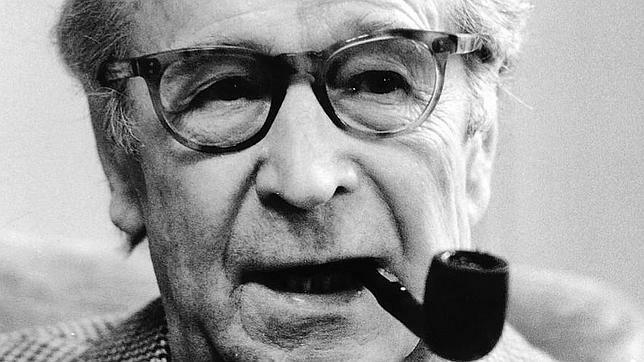 Previous winners include Philip Roth, Arthur Miller and Gunter Grass. Banville, who was born in Wexford in 1945, and is a former literary editor of The Irish Times, has received numerous accolades throughout his career. In 2005, The Sea earned Banville his highest award, the Man Booker Prize, which he had been shortlisted for with The Book of Evidence in 1989. Doctor Copernicus (1976), a fictionalised biography of the Polish astronomer, earned him the James Tait Black Memorial Prize for Fiction. Kepler (1981), on the German astronomer, won him the Guardian Fiction Prize. The Book of Evidence (1989) won the Guinness Peat Aviation Book Award. 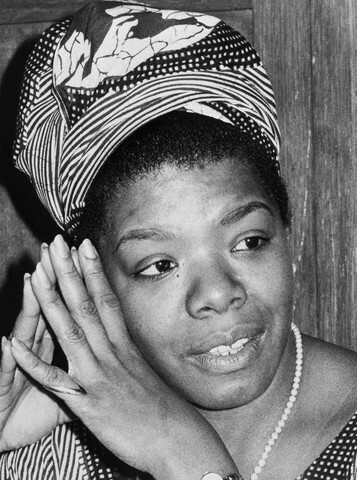 As well known as she was for her memoirs, which eventually filled six volumes, Ms. Angelou very likely received her widest exposure on a chilly January day in 1993, when she delivered the inaugural poem, “On the Pulse of Morning,” at the swearing-in of Bill Clinton, the nation’s 42nd president, who, like Ms. Angelou, had grown up poor in rural Arkansas. Long before that day, as she recounted in “Caged Bird” and its five sequels, she had already been a dancer, calypso singer, streetcar conductor, single mother, magazine editor in Cairo, administrative assistant in Ghana, official of the Southern Christian Leadership Conference and friend or associate of some of the most eminent black Americans of the mid-20th century, including James Baldwin, the Rev. Dr. Martin Luther King Jr. and Malcolm X. Afterward (her six-volume memoir takes her only to the age of 40), Ms. Angelou (pronounced AHN-zhe-lo) was a Tony-nominated stage actress; college professor (she was for many years the Reynolds professor of American studies at Wake Forest University in Winston-Salem); ubiquitous presence on the lecture circuit; frequent guest on television shows, from “Oprah” to “Sesame Street”; and subject of a string of scholarly studies. From the earliest known writing of Charlotte Brontë, a charmingly illustrated short story the Villette author penned for her little sister Anne, to Jane Austen‘s wry recording of an acquaintance’s dismissal of Pride and Prejudice as “downright nonsense”, the British Library has put 1,200 of its “greatest literary treasures” online in what is expected to become the biggest digital English literature resource. Highlighting a survey of more than 500 English teachers, which found that 82% believe secondary school students “find it hard to identify” with classic authors, the British Library launched the Victorian and Romantic section of its new Discovering Literature website on Thursday. 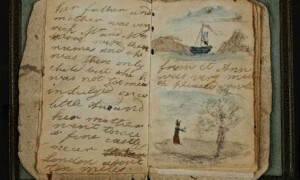 With material from organisations such as the Brontë Parsonage Museum and Keats House, the site features manuscripts from authors including Blake, Wordsworth, Shelley, Keats, Austen, Dickens and Wilde, as well as diaries, letters, newspaper clippings from the time and photographs, in an attempt to bring the period to life. There’s a lock of Shelley’s hair, as well as his poem Ozymandias, and an early draft of Oscar Wilde‘s The Importance of Being Earnest, as well as newspaper coverage of his 1895 trial. One press piece from the time reveals an illustration of the trial’s closing moments, as well as two vignettes contrasting the author’s former fame with his new convict status. The website also features an 1809 dictionary of criminal slang, including words found in the works of Charles Dickens, and the largest collection of Brontë childhood writings, such as their miniature notebooks detailing their fantasy worlds of Gondol and Angria. It also include Charlotte Brontë’s little book made for her sister Anne, which is illustrated with tiny watercolour drawings and features its original covers made from a piece of flowered wallpaper. A host of texts from Austen have been digitised for the new site, meanwhile, including the opinions – mostly positive – her friends and family had of her novels, copied out by the author. Her immediate family is shown to have disagreed over which of her books was better; her sister Cassandra liked Emma “better than P&P – but not so well as MP” while her mother found the same novel “more entertaining than MP – but not so interesting as P&P”. A Mr Cockerelle, however, “liked [Emma] so little, that Fanny would not send me his opinion”, while a Mrs Augusta Bramstone “owned that she thought S&S – and P&P downright nonsense”, and “having finished the 1st vol. [of Mansfield Park] flattered herself she had got through the worst”. The British Library said that Mrs Bramstone sounded “so much like something Austen’s comic characters might say that one suspects a degree of mockery in her portrayal of them”.